In the wake of selling Black Duck to Synopsys, it’s really interesting work through all facets of integration. An energizing journey it is to learn a new company, something I have not experienced in nearly a decade. Soon after we announced, I explained to my dad some of my experiences interacting with the organization, and he was impressed. “That sounds like my kind of company,” he commented. And he was right. In his business career, he demonstrated as much integrity as anyone I know. And I am learning that Synopsys is the Larry Odence of tech companies — and just the right home for the Black Duck On-Demand open source audit business. The great majority of our audits are in support of M&A transactions, often involving public companies and always demanding serious confidentiality and discretion. It would be awkward conducting this kind of business within a company that was not serious about both. But the Synopsys culture is a perfect match. During their first several weeks on board, every Synopsys employee goes through extensive on-boarding training. We all learn the powerful emphasis the company places on respecting intellectual property, confidentiality and security. It’s really impressive. Discretion and confidentiality are paramount. The Black Duck On-Demand audit business is built on trust, doing great work, and, critically, responsiveness. We pride ourselves on “moving at the speed of transactions.” As part of a large public company, can we remain as amazingly responsive as we have been to client needs? Yes! Yes we can, because Synopsys “gets it.” “Don’t screw up the audit business” has been a mantra throughout the process, meaning make sure processes can support the quick turn around nature of audits. So far, so great. As we have mapped out the integration, everyone in the finance, legal, IT and other administrative groups has bent over backwards to ensure we don’t miss a beat. Synopsys core values really tell the story of what a great home it is for Black Duck On-Demand overall and the audit business in particular. Hammered into every employee in any position is the requirement to “do the right thing” in all circumstances. When it comes to intellectual property, we are to treat ours, our customers’ and partners’, and even our competitors’ IP with equally stringent care. The company is committed to handling sensitive data with the ultimate security and care. Doing a great job is the expectation and the norm, and for our customer this means speed, responsiveness and excellent work. We are expected to be the best, literally, in everything we do. Black Duck On-Demand audits are the gold standard, but Synopsys will not countenance resting on laurels. We will employ all the company’s resources and strengths to stay ahead of our clients’ needs. 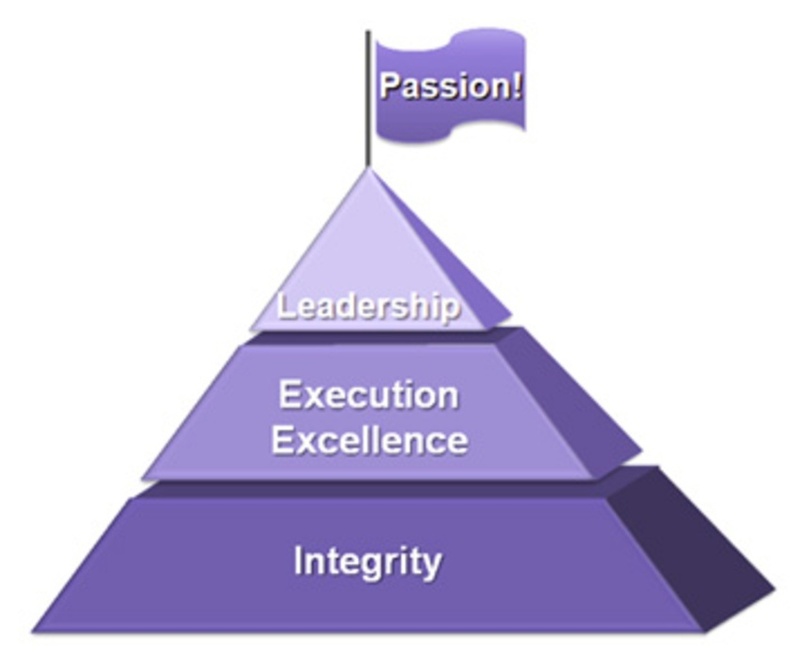 The last of the values, the flag on top of the pyramid, is passion. It’s a thrill to join a company as passionate about business as we are about supporting our customers with our audit offerings. Learn how to get a comprehensive code analysis now.